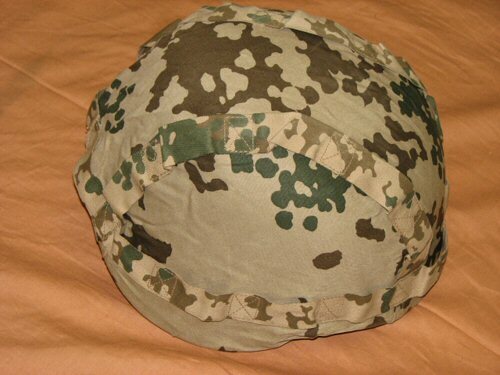 Genuine issue German Army desert flecktarn helmet cover as used by German ISAF forces in Afghanistan. 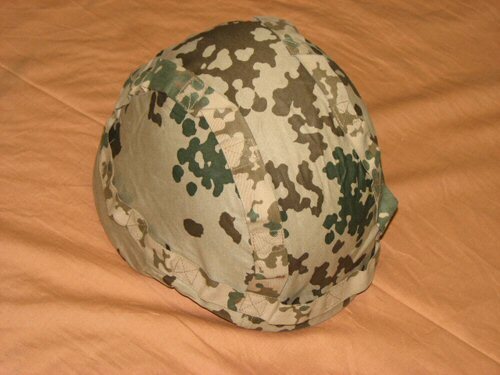 The helmet cover is made of lightweight poly-cotton material, and shaped to the German Nato helmet. 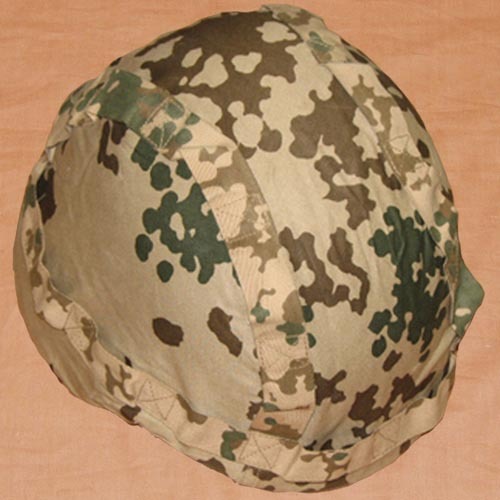 Loops are provided for the attachment of camouflage material, as on the original flecktarn helmet cover. 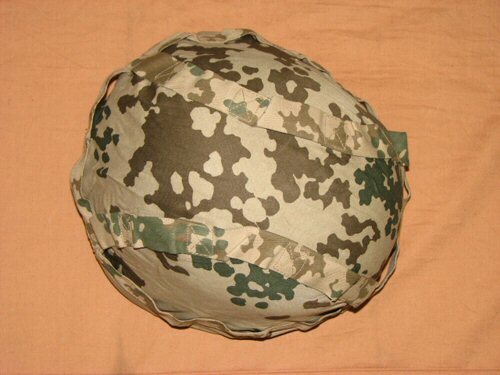 The helmet cover is an excellent fit to the German army desert flecktarn uniforms and webbing. It has a drawstring hem which makes it able to fit many kinds of helmet, including the PASGT and the MICH helmet. The S-M size is the correct size to fit most replica helmets. Available options are: S-M , M-L .
View of cover fitted to helmet, from the top down. Side angled view of the helmet cover on the helmet, tilted forward. Side view of the helmet cover on the helmet.